The ratcheting wrenches in this 8 piece feature a flat design which makes them ideal for use on hard to reach fasteners. The ratcheting heads allow for faster removal and installation of fasteners. Chrome plated for excellent protection against corrosion. Made in USA and backed by Gray Tools worry-free lifetime warranty. Contains 6 PT Sizes: 1/4" X 5/16", 3/8" X 7/16", 1/2" X 9/16" and 12 PT Sizes: : 5/8" X 11/16", 3/4" X 7/8", 5/8" X 3/4", 13/16" X 15/16", 1" X 1 1/16". 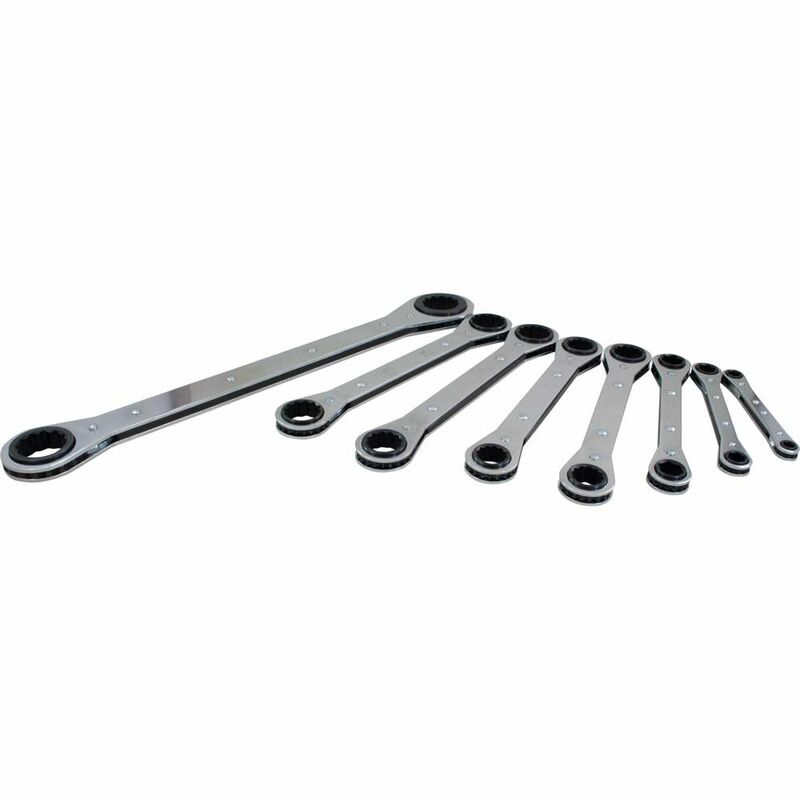 8 Piece Sae Ratcheting Box Wrench Set The ratcheting wrenches in this 8 piece feature a flat design which makes them ideal for use on hard to reach fasteners. The ratcheting heads allow for faster removal and installation of fasteners. Chrome plated for excellent protection against corrosion. Made in USA and backed by Gray Tools worry-free lifetime warranty.